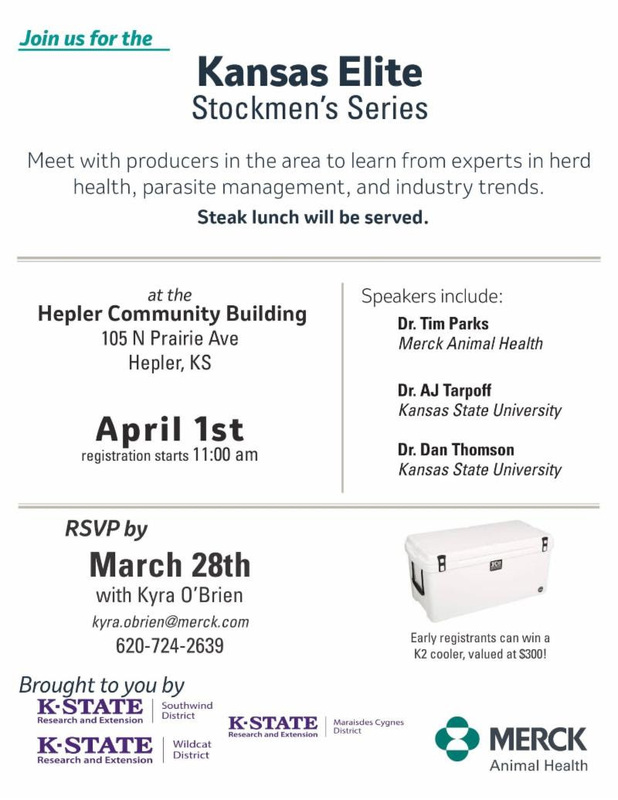 Meet with producers in the area to learn from experts in herd health, parasite management, and industry trends. Registration begins at 11:00am, and a steak lunch will be served. Early registrants can win a K2 cooler, valued at $300!